The method you are going to follow to install a cable is a determining factor for the selection of cable. 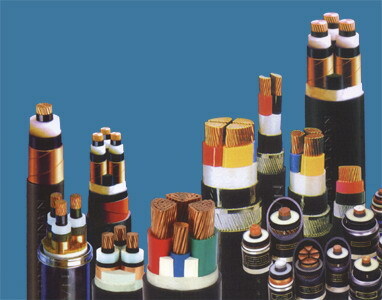 You may use the cable in underground applications, outdoor applications, or indoor applications. In each of these applications the requirement of cables are different. You must give attention towards some particular points. Outdoor applications: For outdoor applications the cable is directly buried under ground/submarine or installed in over head racks. In underground or submarine wiring, the cables are too prone to prevent it from moisture. Once moisture enter the cable it will create problems in long running of cable. So the cables selected should be suitable for wet and underwater installation conditions. Indoor applications: Cables used in indoor applications are either installed in conduit or in over head racks. The interlocked armor cable is a useful option today. It is very demanding and advantageous as well. The armor rectifies the requirement of a conduit and it is totally a self contained unit. Besides its specific advantages it need 20 to 50% less cost requirement than the traditional conduit system. For vital loads, Fire Resistant Cables shall be used and it can withstand for about 3 hours of direct fire. The voltage determination for the electrical device is necessary because it guide you in buying the proper cable. The type and thickness of insulation is determined by the voltage factor. It also helps in determining the minimum size of conductor that is suitable for small loads. Besides that it is also important to know that whether grounded or ungrounded neutral is used. XLPE/PVC/GSWA/PVC 600/1000 V (P2) - Low Voltage AC and DC power distribution(included and more than 16mm sq. XLPE/SWB/PVC 600/1000 V (P3) - Lighting, power,control and motor feeders up to 10mm sq. EPR/EMA/SWB/EMA 600/1000V (P4A) - Lighting and Power distribution cable size 10mm sq and below in shelter areas. EPR/EMA/SWA/EMA 600/1000V (P4B) - Lighting and Power distribution cable size 16mm sq and below in shelter areas.